Senecio Trident Blue is an easy-care succulent ground cover up to 30 cm tall and spreads up to 1mt wide. 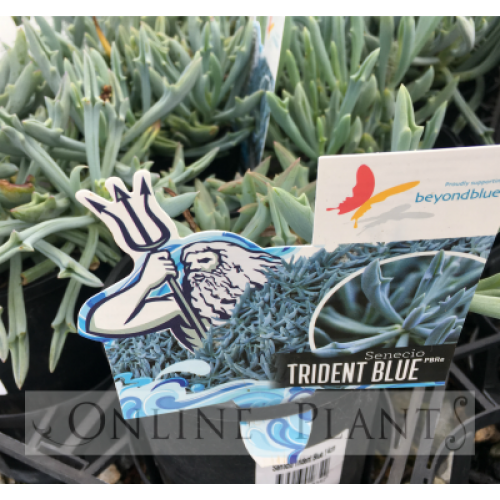 Delightful thick blue foliage is a wonderful contrast below deep green foliaged plants. Keeps an even compact shape without pruning. Highly recommended by online plants designers, a simple architectural plant for modern Australian gardens. 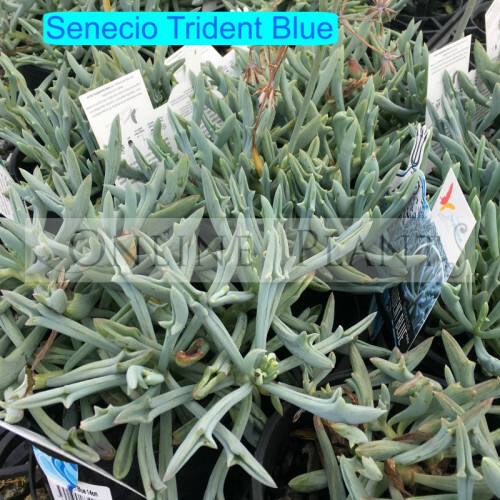 The leaves are thick, elongated, have a glaucous powdery finish and come to a point in a lance-like shape, similar to the mythical Greek God Poseidon’s trident. The pale yellow flowers are produced in spring.